This delightful Pinot is a no brainer for our wine of the month and a fitting celebration for May day. 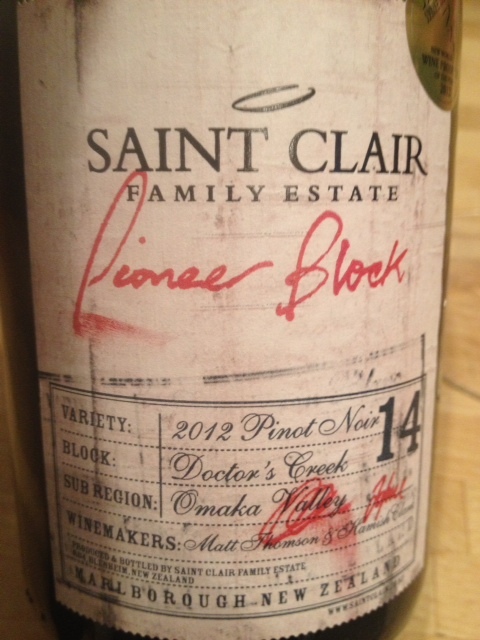 Made from small parcels of outstanding fruit from the fittingly named Doctor’s Creek Vineyard , Block 14. Medium Ruby, pronounced aromas of red summer fruits with much more complex notes of game, wet fur,earth, toast and a wonderfully perfumed floral note with warm spices including nutmeg textured by a buttery nose and texture. Develops more complexity after an hour or so with a savoury meatiness which would complement new season lamb but this is such a fine wine it would go with almost anything . I’ll be popping down today to get a case . Categories: wine of the month | Tags: New Zealand, pinot noir | Permalink.